The holidays are a time for food, family and friends. It can be a fantastic whirlwind of fun and also stressful, hectic and tiring. One of the items typically on the docket is what to wear to that holiday party. The big gathering of family that you see mostly online or the cocktail party “the ex” and everyone you know is going to attend. So, no pressure. This blog post is the answer. 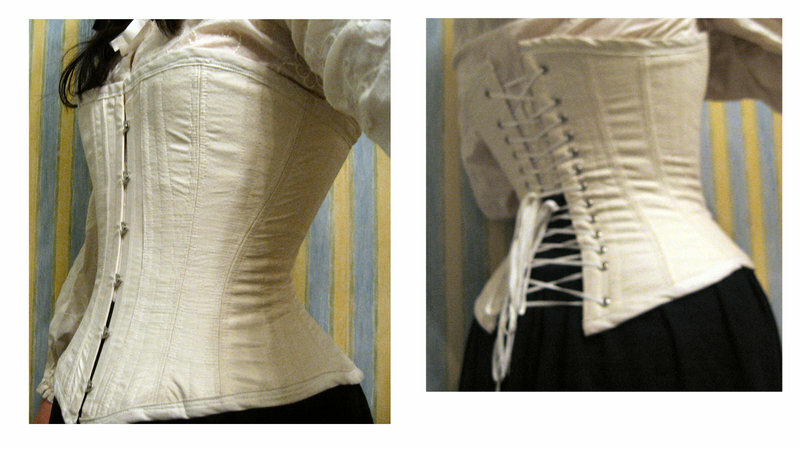 There will be a few options to help you find the perfect corset outfit. Once you find yours, please make sure you post them on social media and tag True Corset. We love to see what our customers create. 1. This overbust corset with a jacket and jeans. This look is perfect for the casual party or the out on the town. It’s dressed without overdressed and has the jacket to ensure that additional confidence for the newer corset wearer. Perfect for jeans. Cozy it up with a bright blazer to add color. Shown here: the Black Cord & Silver Steel Boned Swing Busk Overbust Corset. This classic look works for almost any figure. Either you got this wardrobe foundation to create this shape, or your waist training has paid off and you want to show off all your hard work. This look is an incredible and classic ensemble. 3. Overbust corset paired with a pencil skirt. This outfit makes the ultimate entrance into any gathering. It will turn heads and gain attention. The stunning lines of the longer skirt embrace and celebrate our curves! This can be mixed up with a miniskirt and boots or a flared circle skirt and kitten heels. It gets that MEOW, right now. This is a well-loved, go-to look for many corset enthusiasts. It shows off those curves, but is still reserved and highly feminine. Add a collared shirt for a preppy look. 5. Underbust Steel Boned corset over a sweater dress. We all have the pretty sweater dress we would love to wear, but are unsure if it’s dressy enough. Try adding something as simple as a waist cincher, and it makes the dress perfect to attend almost any occasion. Corsets turn heads and can make you feel confident. Celebrate your holidays with your best curviest and sexiest you. This entry was posted in Blog and tagged holiday looks, fashion, looks, christmas, corsets on December 20, 2015 by admin.